Developed especially for a puppy's sensitive skin and delicate coat, Bio-Groom Fluffy Puppy Tear Free Shampoo provides a pure and natural conditioning shampoo. It cleanses thoroughly and effortlessly without stripping the natural protective oils from skin and coat. It rinses out quickly and completely for rambunctious puppies. 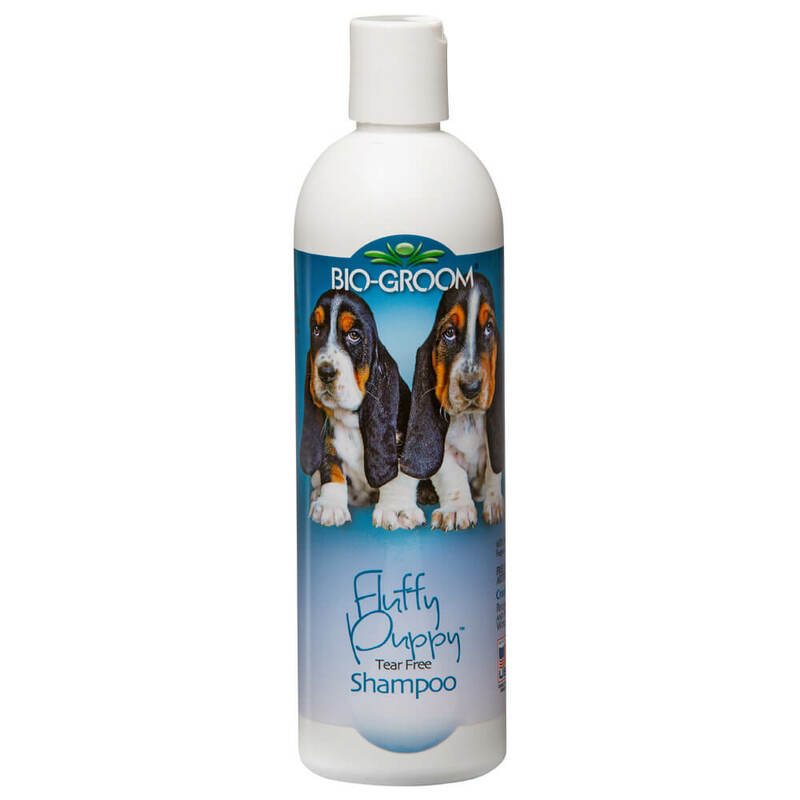 Bio-Groom Fluffy Puppy Tear Free Shampoo helps control body odors, is pH balanced and leaves no irritating residue. It is safe to use with topical flea and tick treatments. Recommended by top breeders and professional groomers worldwide, it is cruelty free and soap free. Wet coat thoroughly with warm water. Apply Fluffy Puppy Shampoo and work will through the coat. Rinse with warm water. Dry and brush the coat with soft brush or wipe with soft towel. Concentrate maybe used full strength or dilute with 2 parts water. Purified water, cleansers derived from regrowable and 100% biodegradable sources of Corn, Coconut and Palm Kernel Oils, Disodium Cocoamphodiacetate, Decyl Glucoside, Sodium Laureth Sulfate, PEG-75 Lanolin, Lauramidopropyl Betaine, Bishydroxyethyl Dihydroxypropyl Stearammonium Chloride, Cocomide MIPA, Vegetable Glycerine, Aloe Vera, Lavender Fragrance, Citric Acid, Red 40, Yellow 6. FREE OF: Parabens and artificial thickeners.